EEI Corporation provides a broad range of construction and allied services to multinational and Philippine manufacturing corporations. Pharmaceuticals, processed foods, automotive, semiconductors, confectionaries, softdrinks and alcoholic beverages are among the industries that have trusted the Company as they continue to expand to meet the growing needs of the people. Through the years, EEI has been a partner to Philippine industry giants such as San Miguel Corporation, Nestle Phil., Intel Phil., Philips Semiconductors, Ford, Isuzu, Wrigley's and Coca Cola in their plant start-up and capacity expansion projects. The plant construction projects embarked by EEI are done with superior quality and on-time delivery of committed results and schedules in with the highest regard for safety. These translate to faster time-to-market product delivery and cost-effectiveness for clients. EEI has attained competence in construction projects requiring specialized procedures and products such as super flat slabs, clean rooms and food grade processing facilities. The Company is truly proud to have contributed its share to the growth and dynamism of the Philippine manufacturing industry. 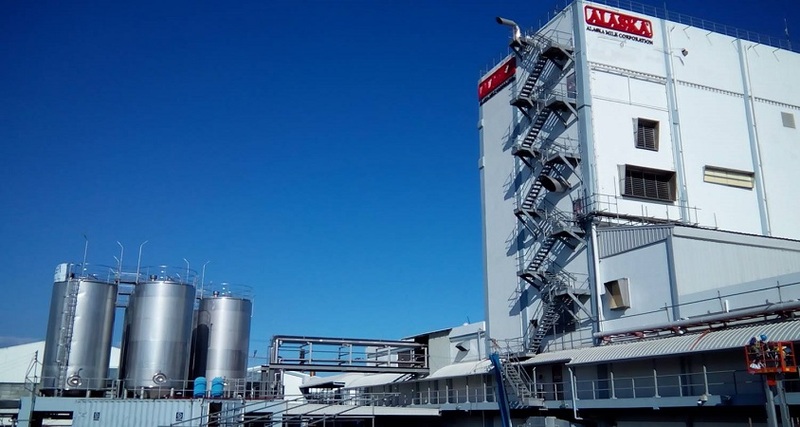 EEI rehabilitated the Alaska Milk Powder Plant (MPP) and Condensed Milk Plant (CMP) Rehabilitation of Alaska Milk Corporation located at Magsaysay Road, San Pedro, Laguna. EEI constructed two buildings to house additional manufacturing facilities for the North South Realty and Agricultural Development Corporation Food Processing Plant by Marigold Manufacturing Corporation (MMC), located within the compound of the existing operational Mama Sita Processing Plant at Pasig City. 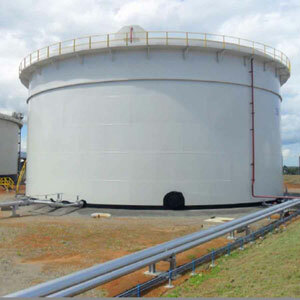 EEI fabricated a 5-MB Benzene Storage Tank for the Bataan Petron Refinery Additional Atmospheric Storage Facilities (AASF) Project in Limay, Bataan. The project included the demolition and relocation works, concrete tank foundation, fabrication of the Benzene tank, and the accompanying electromechanical works. Humantech Korea Philippines Corporation engaged the expertise of EEI Corp. to construct its Semicon Manufacturing Plant with a building area of 33,882.26 m2, located at Clark Free Port Zone, Pampanga. EEI’s scope consists of civil and structural works was done for a period of 6.5 months. The project was completed on December 2010. 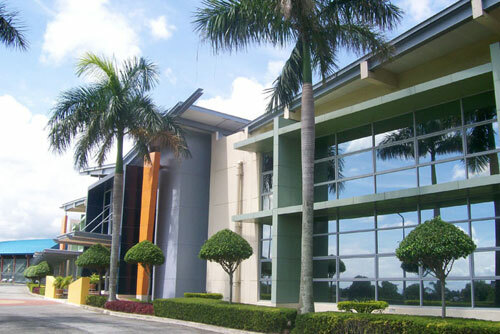 San Miguel Corporation / Beverage Packaging Specialist Inc. had two Design and Build projects with EEI at two key locations namely, Pampanga and Davao City. Each endeavor includes the civil works, structural works, concreting of foundation and slab, exterior and interior architectural works. The construction phase for each plant lasted for four months. The plant in Pampanga was done in 2003, while the one in Davao City was completed in 2004. This project in Carmelray Industrial Park I, Canlubang, Laguna is a Design and Build contract with Jollibee Foods Corporation. The construction phase included civil works, structural works, concreting of foundation and slab, and architectural works. Part of EEI’s task was the fabrication and erection of 1000 tons of galvanized structural steel for the Process Building. The project was completed on 2004. United Laboratories Incorporated developed 1.4 hectares of its property in Mamplasan, Laguna into a pharmaceutical plant facility, which showcased EEI’s expertise in civil engineering. 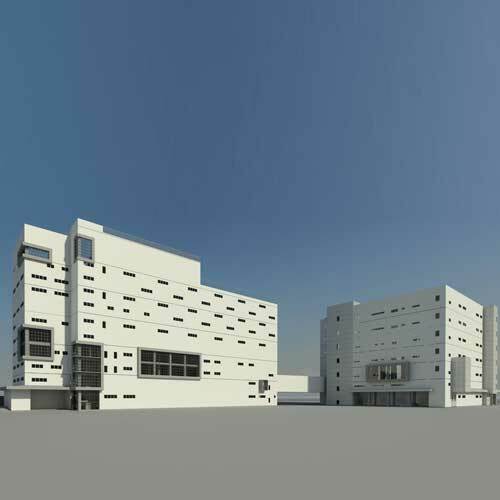 The construction involves civil, structural and architectural works including all embedded items and block outs for MEPF works. Part of our structural works is the supply and installation of structural steel intended for framings of roofing system. 275 tons of structural steel were fabricated, pre-assembled and painted by means of sand blasting in our Fabrication Shop in Sta. Maria, Bauan, Batangas, then delivered at site in segments. The construction of this facility lasted for thirteen months and plant operations started in 2006. EEI Corporation is the Philippines’ leading provider of construction services to Oil, Petroleum, Gas, Cement, Mining, and Power Producer Companies. Due to its construction work in the Middle East since 1974 and extensive experience in the domestic and overseas markets, EEI was able to develop superior capabilities in this core business and made the company the leading contractor in power and energy projects. It has undertaken civil works, structural fabrication and erection, installation of boilers, generators and turbines, and construction of balance of plant equipment and materials handling facilities. Over the years, EEI has completed coal-fired, diesel/bunker fuel, geothermal, gas, turbine, hydroelectric, combined cycle, and nuclear-powered generating facilities. It has been involved in 40% of all construction of baseload power generating plants (100 megawatts and above) under the Philippine Government’s Energy Development Program in the last decade. This outstanding portfolio of projects, recognized and awarded by global energy players including Mitsubishi Heavy Industries, Bechtel, GEC Alsthom and Foster Wheeler, Fluor Daniel, and Black and Veatch, speak of its capabilities and construction technologies. The top three petroleum companies in the country – Petron, Shell, and Chevron, have relied on EEI in the construction of its major rehabilitation and expansion projects in their respective oil and gas refineries. EEI was also commissioned by Foster Wheeler to undertake pipeworks for the gas process train facilities and equipment erection for Shell Exploration’s Malampaya On-shore Gas Plant. EEI has played a major role in the construction of petrochemical plants as well. In the Philippines, two of its completed projects include JC Summit’s Bi-Axial Polyprophylene and Polyethylene Plant and Petrocorps’ Polyprophylene Plant. EEI was able to undertake Petron’s plant expansions namely Benzene Toulene Xylene (BTX) Project and Petro FCC Project. EEI has also been involved in the mining and cement industries since its foundation in 1931. It has been active in the mining industry having serviced Benguet Corporation, Philex Mining, Lepanto Mines, Semirara, and Marinduque Mines. It has also been dominant in the cement industry having built the major plants of the Phinma Group, Continental Cement, and Republic Cement among others. It was also engaged in the modification of the air purification process of Fortune Cement Plant in Batangas. Recently, EEI completed the Rio Tuba Nickel Plant (Phase 2) for Coral Bay / Sumitomo Metal Co.
EEI will be constructing a 3x135MW coal-fired power plant for FDC Utilities at the PHIVIDEC Industrial Estate in Misamis Oriental. This project has an over – all contract amount of ₱ 9.9B which is consist of civil, mechanical and electrical works. The scope of civil works consist of site development equipment foundation, jetty while for mechanical works, consist of boiler, steam and turbine generator including structures and auxiliary piping, air and gas ducts, electrostatic precipitator, steel coal silos and water tanks fly ash and bottom ash handling system. Electrical works includes transformers switch gears and MCC/DCS controls, termination and grounding system. 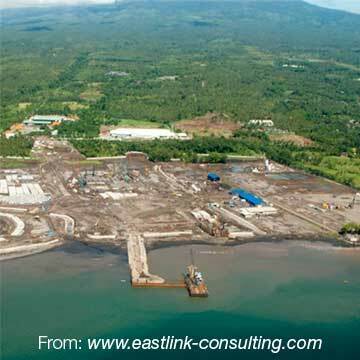 Daelim Philippines, Inc. awarded EEI the EPC for the Coal Unloading Jetty and temporary construction wharf for the SM200 Phase-1 Sarangani Coal-Fired Power Plant, owned by Sarangani Energy Corporation (Alsons Consolidated Resources) which is located in the municipality of Maasim, in Sarangani Province. Construction started last September 1, 2013 and will be finished by December 18, 2014. EEI was awarded by Leighton Contractors (Philippines) Inc. the Balance of Plant Works which includes MEPF works, technical and non-technical steel structures, and utility rack structures of the Therma South 2x150MW Coal-Fired Power Plant, located in the municipality of Toril, Davao, an 80-hectare plant site owned by Therma South, Inc. (Aboitiz Power). 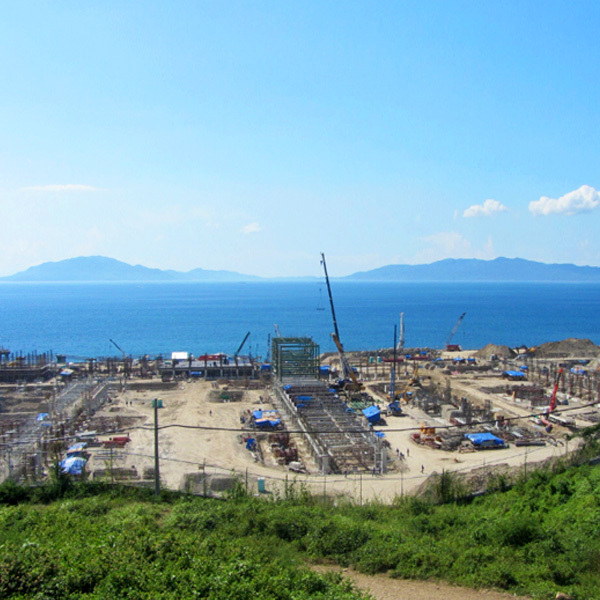 The construction of the power plant started last September 10, 2013 and is expected to be completed by August, 2014. The Runruno Gold-Molybdenum Project, owned by FCF Minerals Corporation, is located at Barangay Runruno, Quezon, Nueva Vizcaya. EEI’s scope of work includes the fabrication and erection of tanks and thickeners. The project duration is 11 months and is expected to be turned over to the client by January 2015. 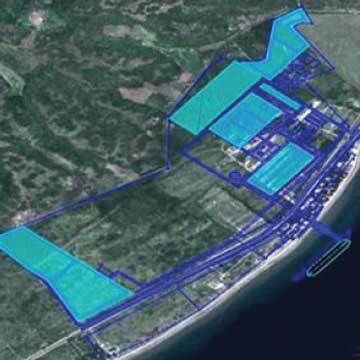 EEI is constructing JG Summit's Naphtha Cracker Plant in Barangay Simlong, Batangas City. 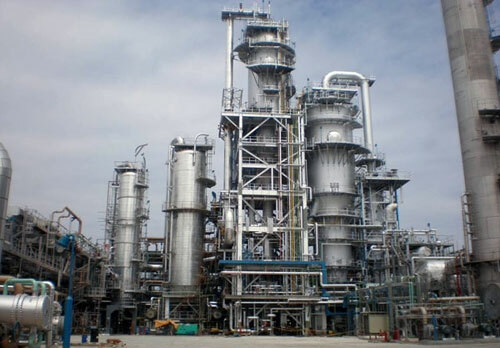 In 1998, EEI carried out the electromechanical works of the Bi-Axial Polyethylene Plant, which is part of the existing plant of JG Summit Petrochemical Corporation. This 20-MW Geothermal Project for Maibarara Geothermal, Inc. (MGI) is located at the western flank of Mount Makiling, Calamba, Laguna and Sto. Tomas, Batangas. 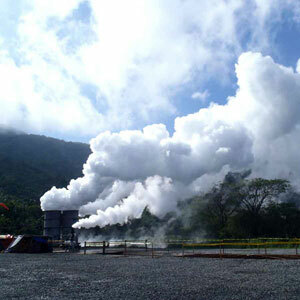 Maibarara Geothermal Inc. has tapped EEI Corporation for the Engineering, Procurement and Construction (EPC) turnkey contract of the power facility. EEI has engaged the services of Fuji Electric of Japan for the design, manufacture, delivery, and testing of the Steam Turbine Generator, Cooling Tower, Condenser, and Gas Extraction System. 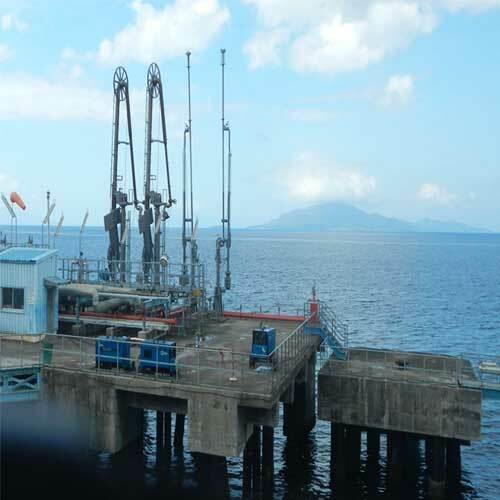 The Jetty Piping Modification Project is a 4-month contract with JG Summit to install marine loading arms at the JGS Jetty. EEI's scope of work includes civil, mechanical, electrical, and instrumentation works. In June 2011, OceanaGold Philippines Inc. (OGPI), owned by Australian-based OceanaGold Corporation, commenced the construction of Didipio Project, a high grade gold copper mining and processing plant located at the Municipality of Kasibu, Nueva Viscaya, Philippines. OGPI, which stands as the owner, overall designer, and project operation and maintenance of the Didipio Project, entrusted to EEI Corporation the Electro-Mechanical works which include the mechanical, structural, piping, electrical, and the instrumentation works of the process plant, the conveyor and crushing system, and the power station. 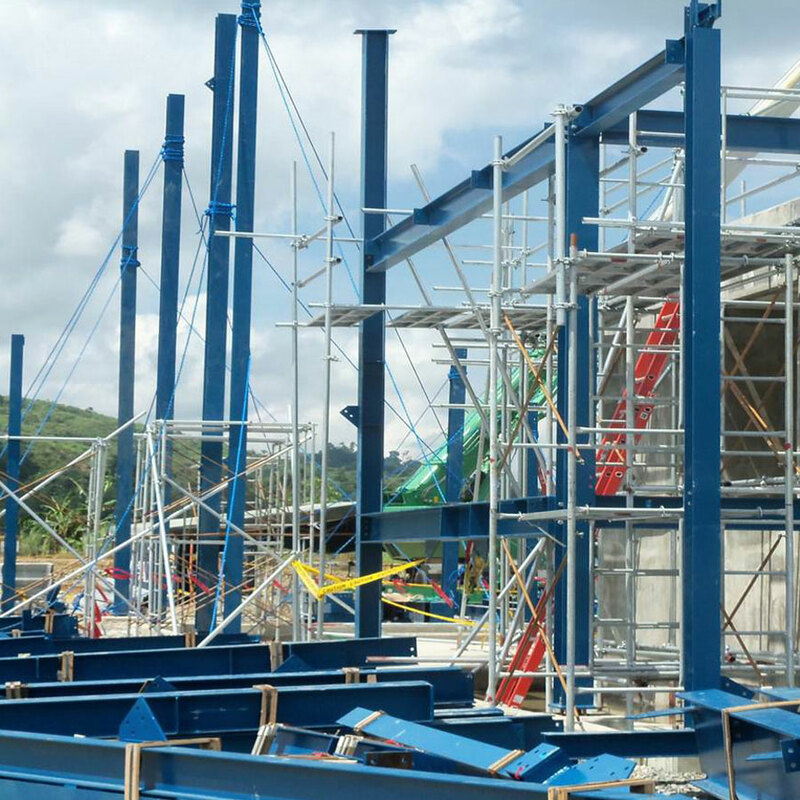 The project, located at Isla Grande, Pagbilao, Quezon, involves the construction of the New Fly Ash Conveying and Storage Project for Team Energy Corporation's Pagbilao Coal Fired Power Plant. Construction started last September 15, 2011 and is scheduled to be completed including the commissioning works within 10 months. 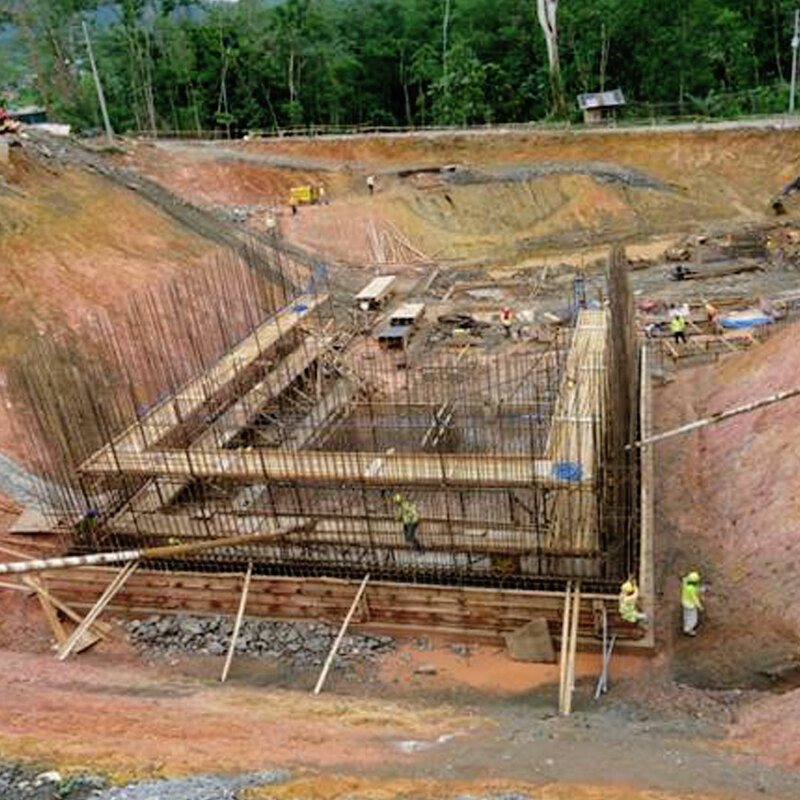 EEI's scope includes the design and construction of a 24-meter high concrete silo with a diameter of 13 meters. Furthermore, EEI will be constructing the 500-meter long roadway that will connect to the existing plant. 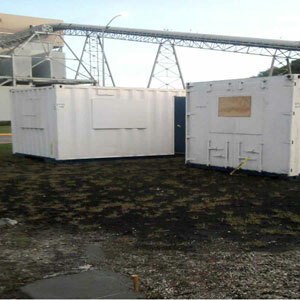 The installation of the Fly Ash Conveying Equipment will be supplied by the United Conveyor Corporation (UCC) of U.S.A. Located at Phividec Industrial Estate near Cagayan De Oro City, this plant was approved by NPC and PSALM in September, 2003. Kawasaki Heavy Industries was awarded the EPC contract for the plant while EEI was tasked to do the Electro-Mechanical erection works, including the design and building of the River Water Intake Pipelines. The project started construction in November, 2004 and was completed by October, 2006. 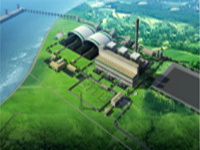 Masinloc Coal Fired Power Plant, located at Masinloc, Zambales Province, is configured as two units of 300 MW capacity turbine generators. EEI’s scope in constructing the plant started with Civil and Foundation works under TOA Corporation, then Electro-Mechanical erection works under Mitsubishi Heavy Industries. The project took 3 years to construct and eventually became operational in 1999. 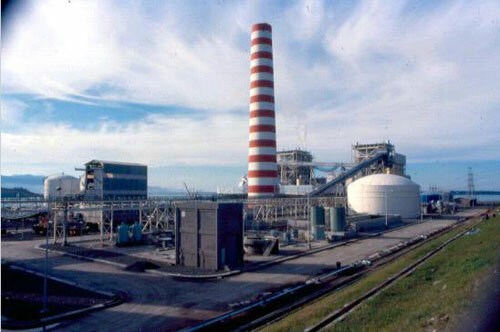 Owned and operated by Team Energy Corporation, this is the largest coal fired power station in the Philippines having a configuration of 2X609 MW. Site preparation started in 1995, while construction started in February, 1996. EEI completed the Electro-Mechanical works under GEC Alsthom as the EPC contractor. The Benzene Toulene Xylene (BTX) Project and Petro FCC Project were two major petroleum refinery projects completed by EEI with Petron Corporation under Daelim Philippines as the EPC Contractor. 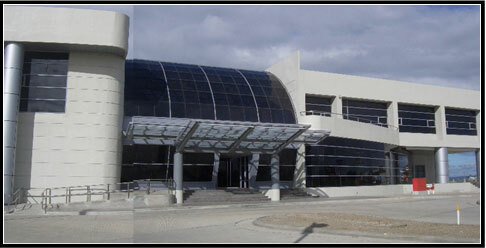 BTX was constructed between April 2008 and March 2009, while FCC was between April 2006 and October 2007. BTX was constructed as part of the plant expansion and FCC was actually a replacement of an old unit. The subcontracts amounted to $17 million and $37 million respectively. 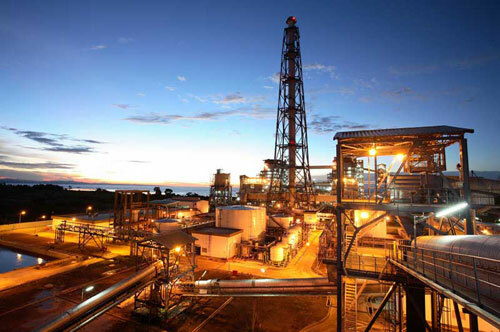 The Rio Tuba Nickel Plant (Phase 2) Project was a carbon copy of the existing phase 1 of the nickel plant also constructed by EEI both under JGC Corporation. The second phase is worth $22 million, wherein the construction started in November 2006 and was concluded on May 2008. Taganito HPAL Project, located at Barangay Taganito, Surigao Del Norte, is a large-scale hydrometallurgical project owned by Sumitomo Metal Mining Co. Ltd which acquired the services TJCP Joint Venture (between JGC Philippines, Inc. and Chiyoda Philippines Corporation) as the EPC contractor of the processing plant. 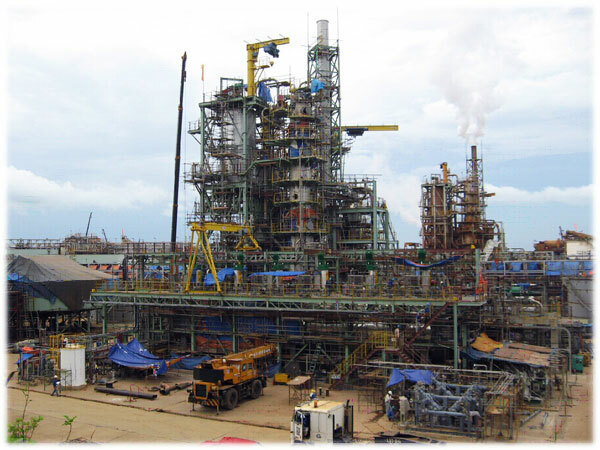 The SPT Olefins Project, owned by Stone and Webster Asia Inc., is located at Jurong Island, Singapore. The project involves the fabrication and assembly of 29 Olefins Recovery Piperack Modules. EEI will cover Modular Fabrication, Supply of Resources manpower, tools, equipment, and consumables, and Project Management and Supervision. 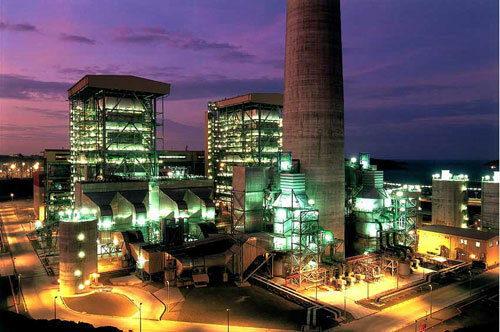 As part of AES Philippines Corporation’s upgrading of 2x300MW Masinloc Coal-Fired Power Plant to world standards after it’s acquisition from NPC, AES tap EEI to refurbish the Electrostatic Precipitator for Unit # 1 during its 60 days shutdown period. Eventually, AES gave commendation to EEI for his successful accomplishment having one week ahead of schedule.